Outcome 2: (Financial resourcing): by the end of the grants period, international and domestic resourcing are better mobilized to finance national plans. 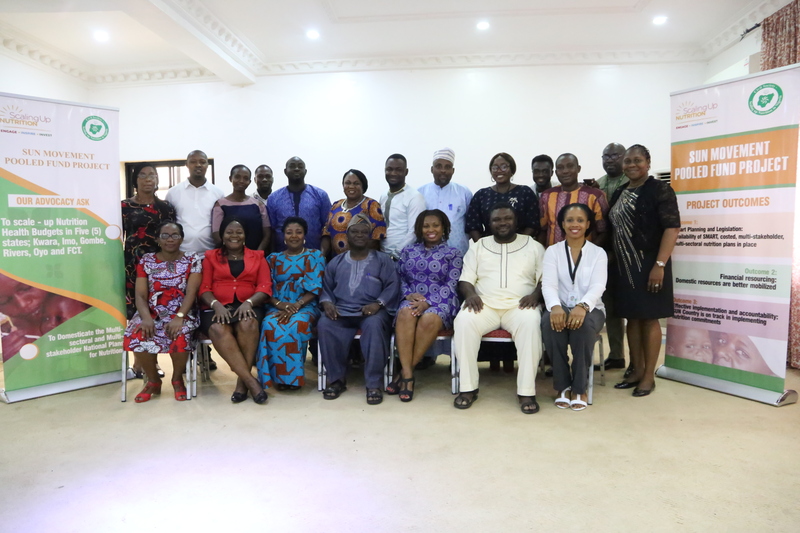 Outcome 3: Effective implementation and accountability): By the end of the grant period, the SUN country Civil Society Alliance (CSA) is on track in implementing their nutrition commitments and are marking demonstrable contributions to reducing malnutrition at the sub-national level. The one-year pooled fund grant which was signed off with the support of the SUN Movement and UNOPS in July, 2018 will promote the engagement of additional relevant actors in the implementation, monitoring, and evaluation of multi-sectoral and multi-stakeholder national plans for nutrition. The project is being implemented in six locations. Rivers, Gombe, Imo, Kwara, Oyo States, and FCT.